Love is in the air! 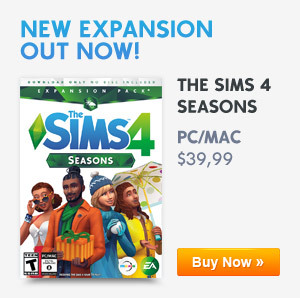 Valentine’s Day is coming up and EA decided to celebrate by giving Simmers 50% off of The Sims 4 Romantic Garden Stuff. You can find the sale on Origin. These kind of sales usually last for about a week so make sure to grab the discount while you still can! So will you be getting the Stuff Pack while it’s on sale? Will you give it away to someone you love? Let us know in the comments down below! Previous ArticleThe Sims Mobile: Quest For Love, Valentine’s Event Head Start Quest Starts Today (February 7th, 2019)!Next ArticleThe Sims 4 Movie Hangout Stuff arriving soon for Consoles!